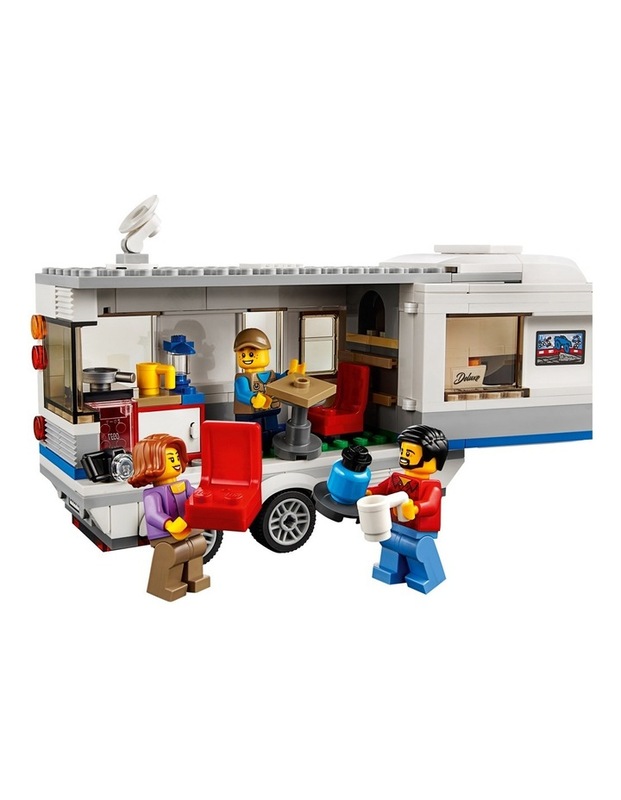 Includes 3 minifigures: Mom, Dad and Son, plus a crab figure. 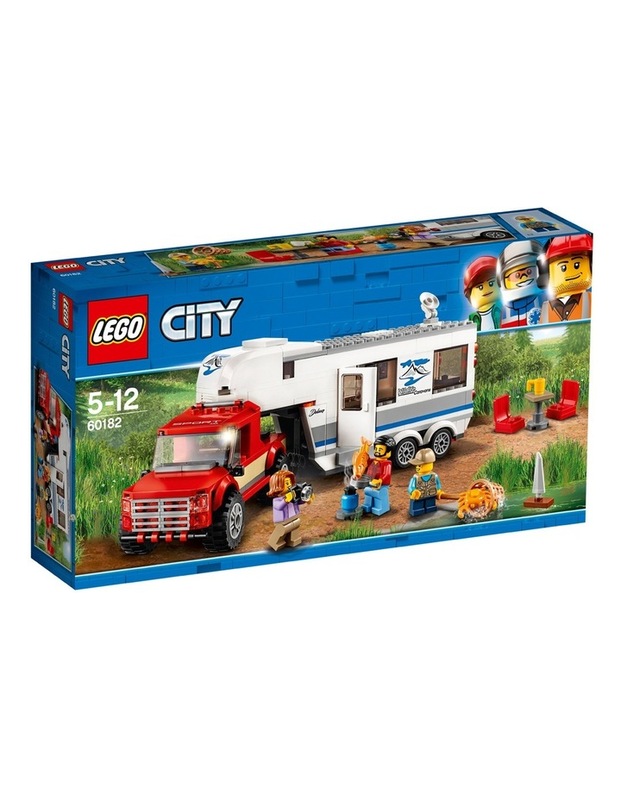 Features a caravan that opens on the side, opening door, removable front roof, furniture and a separate support leg to stand alone, plus a pickup truck with removable cab roof, minifigure cab and truck bed with a hitch for the caravan. Unhitch the caravan from the pickup and extend the support leg so it can stand on its own. Open the side of the caravan to access the inside. Remove the front roof of the caravan to access the bedroom. 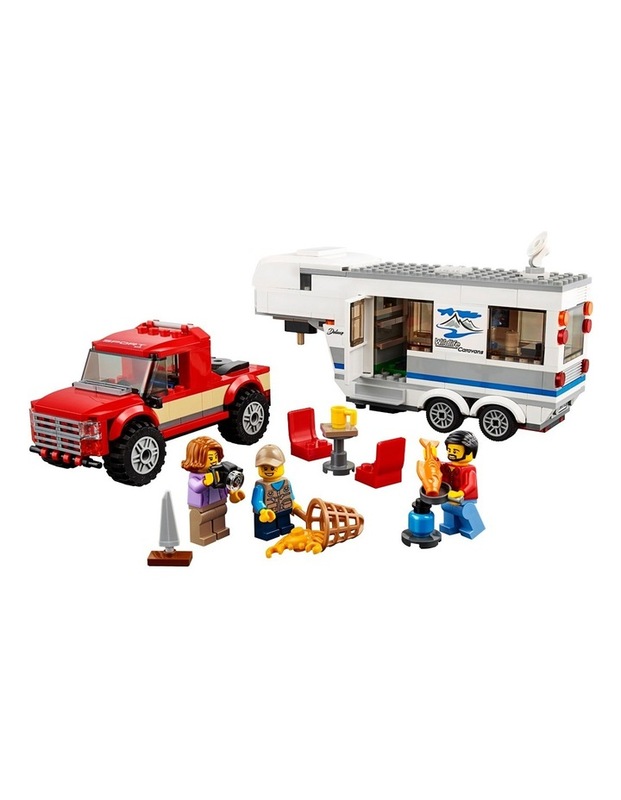 Accessory elements include a net, toy ship, camera, gas fire, pan, fish, 2 mugs, 2 chairs and a small buildable table. This toy for boys and girls is suitable for ages 5-12. Pickup measures over 2 (7cm) high, 5 (13cm) long and 2 (6cm) wide. Caravan measures over 3 (10 cm) high, 7 (20cm) long and 2 (6cm) wide.